If you click on the domain name in GPMC you will notice there is a new tab called “Infra Status”. 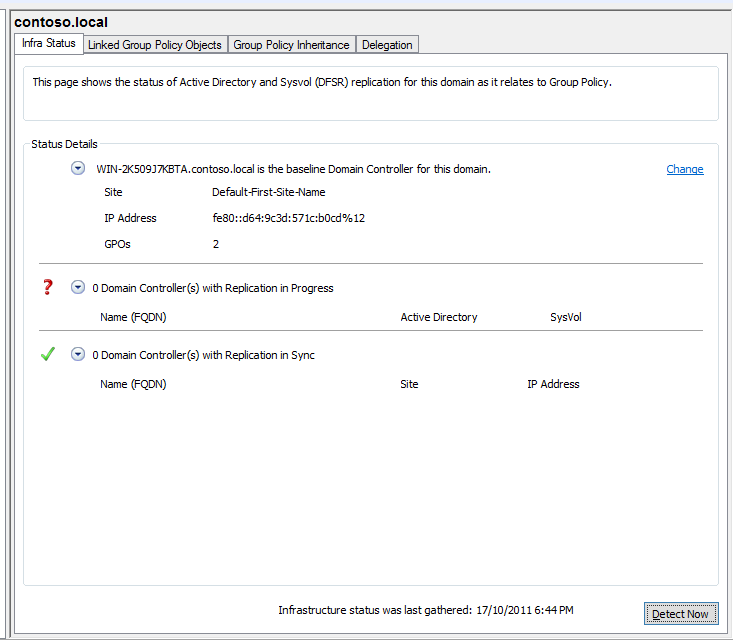 As the page says “The page shows the status of Active Directory and Sysvol (DFSR) replication for this domain as it relates to Group Policy”. 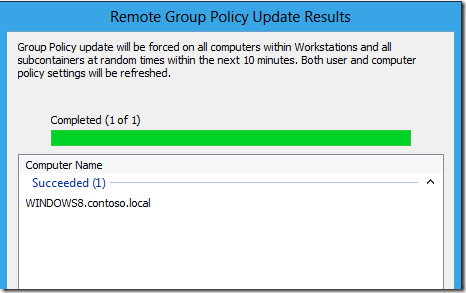 This will obviously be a great troubleshooting tool for Group Policy settings that are not applying to the computers in your organisation due to AD replication issues. 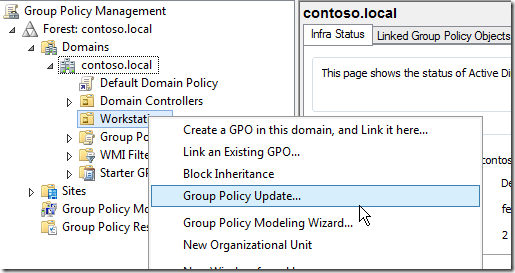 If you right click on any OU in you AD you will see a new menu option called “Group Policy Update…”. Clicking on this option with an OU with no computers in it gives you an interesting explanation of the feature. You have chose to force a Group Policy update on all computers within Workstations and all sub containers. 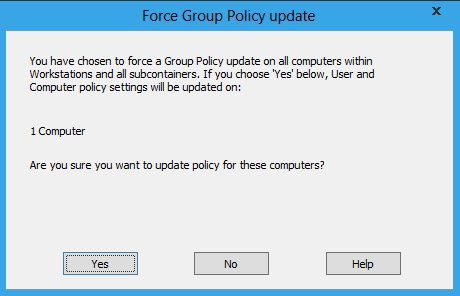 What is particularly interesting is the text “FORCE A GROUP POLICY UPDATE" meaning that you can now force the group policy update to all computers in a Organisations Unit. 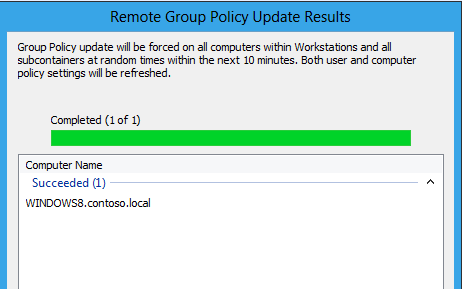 This would effectively mean that administrators can now make changes to their computers without having to wait the default 90 minutes to wait for group policy to refresh on a computer. I have been able to get the wizard to working by building a real Windows 8 computer and added to the “Workstations” OU. After click yes it has found the “real” computers in the OU and forces a Group Policy update to run within two minutes on these computer. 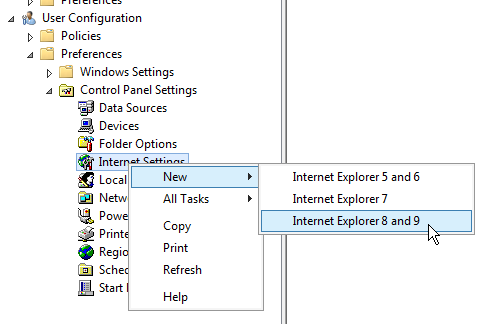 Seeing the task was scheduled I then took a look at the scheduled tasks on the computer being targeted and found that it had created two scheduled tasks to perform a gpupdate in the user and computer context. 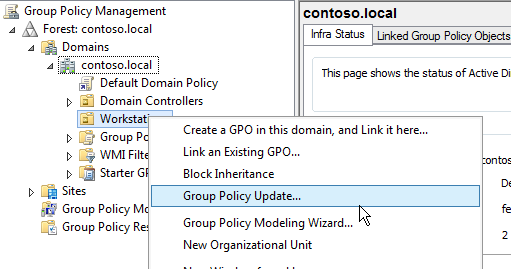 I have not found anything else in this build that is Group Policy related but I will keep digging… But it is great to see that Redmond is still adding improvements to Group Policy with the latest version of Windows. Do you see any updated groupprefs? 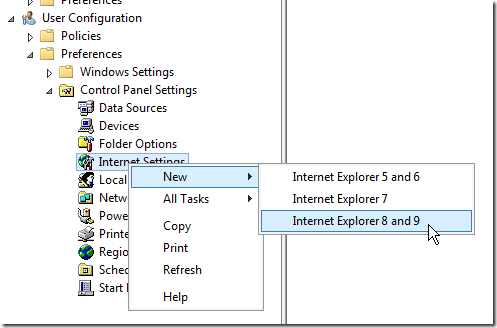 Like IE9 settings or SSTP VPN settings stuff like that? 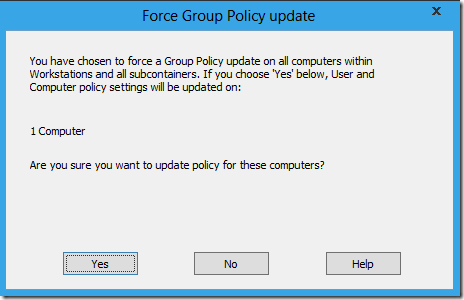 Yes… IE9 is listed as a Group Policy Preference option.. but there are no new settings.. 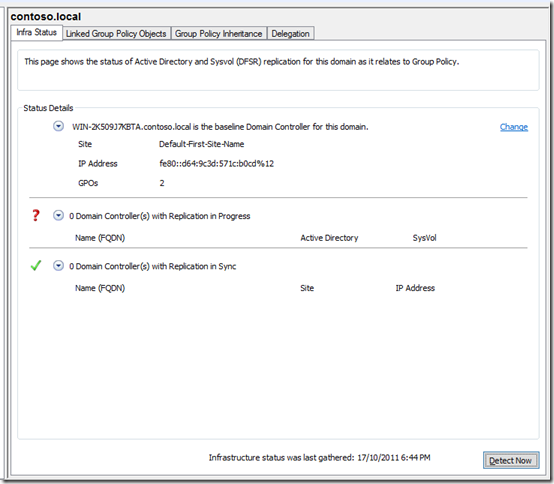 I really like the new feature that forces the policy updates on a particular OU. This will definitely be very useful. thanks for the post.